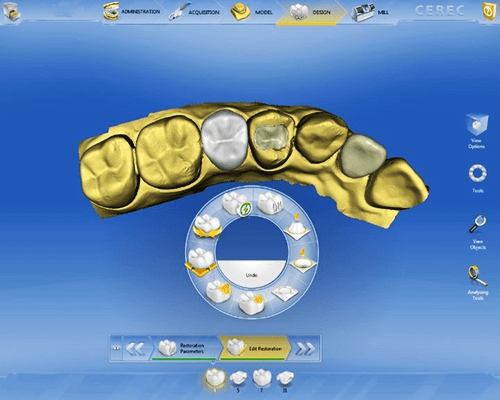 Shortly before Christmas, we received the newest and biggest software update EVER for our CEREC CAD/CAM system, which we absolutely love already. Totally redesigned to make it easier and faster to get natural-looking, all-porcelain dental crowns in just one day, we can now do multiple crowns and onlays all at once, even in different parts of the mouth. If all goes really well (fingers crossed! ), will be adding a new 3D Cone Beam X-ray machine that integrates perfectly with CEREC. This combination will let us plan dental implants and crowns or bridges all together!